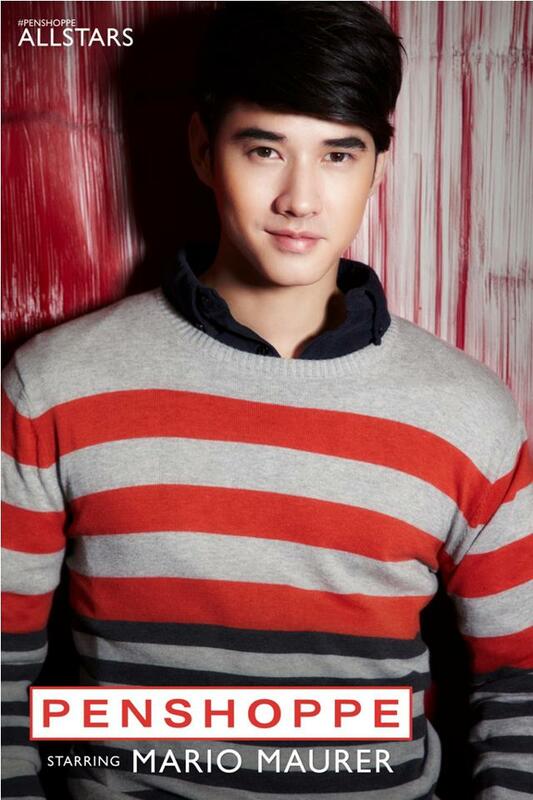 Mario Maurer becomes hotter these days. Aside from his upcoming Filipino-Thai movie "Suddenly It's Magic" with Erich Gonzales, Mario got a new billboard for Penshoppe wherein he is one of the brand's All Stars endorsers. On the billboard, Mario is wearing a sweater. Yup, this is the latest design from the conutry's hottest clothing line, Penshoppe!